Boulder, Colo. • June 21, 2018—The results are in! For the second year in a row, Bell’s Two Hearted Ale was named number one in the annual Best Beers in America survey conducted by Zymurgy magazine. 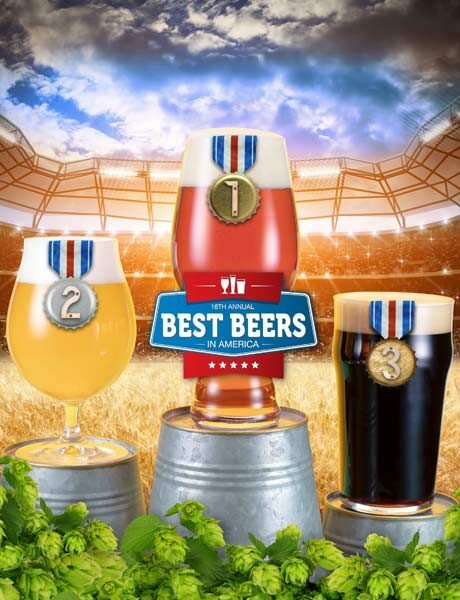 Now running in its 16th year, the survey asks members of the American Homebrewers Association (AHA), which publishes Zymurgy, to choose up to five of their favorite commercial beers available for purchase in the U.S.